Composite Pattern is used when a set of objects are to be considered as a single object. It is a type of structural pattern. The objects in composite pattern will be represented in tree structure and forms the whole hierarchy. Tree structure consists of leaf, nodes, and root. Primitive and complex objects can be defined inside the class hierarchy. New components can be added easily. Class contains its own objects. Structure of the class and interface is flexible. Component: Component is the abstraction for leafs and composites. It is used to define the interface that is to be implemented by the objects in the composition. Leaf : Leaf objects do not have children. Leaf implements the services described by the Component interface. 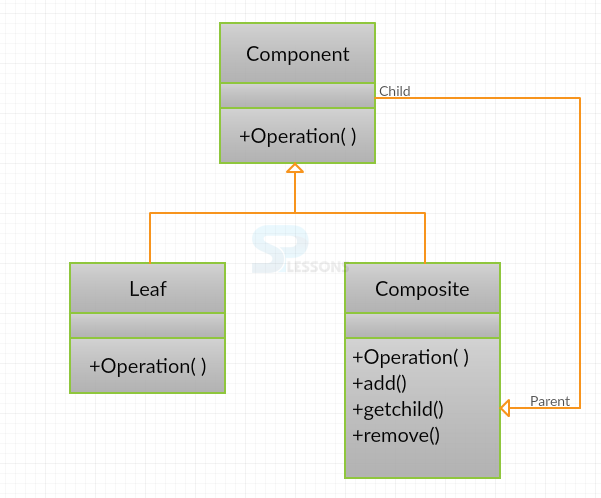 Composite : A Composite can be used to store the child components in addition to implementing the methods that are defined by the component interface. Composites provide additional methods for adding, deleting, and getting components as well. Creating a class Rectangle that implements the interface Shape. Creating a class Oval that implements the interface Shape. Importing the packages java.util.Arraylist and java.util.List. Creating a class Drawing and implementing the interface Shape. Creating a main class TestCompositePattern. Composite Pattern – Whole Structure is defined in tree structure in hierarchy form. 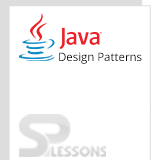 Composite Pattern are mostly used in swings.